New data shows that Americans might be getting a little more frugal as spending at auto dealers and restaurants dipped a little, in March. This caused the whole of retail sales numbers to drop, too, even though the labor market is showing healthy growth. 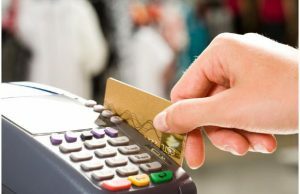 More specifically, retail sales fell by a seasonally adjusted 0.2 percent, last month, according to the United States Department of Commerce, Friday morning. The agency had revised the numbers from only a 0.3 percent decline in February. Over the last 12 months, however, retail sales have indeed grown by 5.2 percent—so there are quite obvious signs of economic stability. On the other hand, these new indications regarding consumer scrutiny can certainly complicate this growth. Unemployment might have fallen to a new March low of 4.5 percent and steady job growth is up, but consumers appear to be holding back a little, perhaps out of great caution for a very uncertain future. Some contend that Winter Storm Stella—which devastated parts of the US Northeast last month, could also have something to do with lower retail sales. On the other hand, others argue that this decline might also have something to do with a delay in tax refunds. Plant Moran Financial Advisors chief investment officer, Jim Baird, notes, “Consumers have retrenched a bit in terms of their spending in recent months. With labor market conditions as tight as they are, we do expect to see some upward pressure on wages [which should lead to increased spending]. But while the Big Three automakers all reported lower-than-anticipated sales for March, that is not the only indication that consumers are scrutinizing their own spending; at least, in regards to their vehicles. Gas stations also saw a somewhat unprecedented drop, even with a 6 percent sell-off in crude. Furthermore, when you exclude the volatility of auto sales and fuel, retail sales only grew by 0.1 percent, which is notably lower than the anticipated 0.3 percent. One bright note, though, is online retailers. Non-store retailers have collectively shared a 0.6 percent bump in March, contributing to an 11.9 percent increase over the last 12 months. Can 3D Printed Parts Save Boeing Several Million A Year on Dreamliner Jets?